Up until Matlab release R2008a, the Matlab compiler enabled compiled Matlab applications to have dockable figure windows, which docked into a “Figures” container. Starting with R2008a, the compiler removed the figure’s docking capability and figures can no longer be docked. where hFig is the figure handle. This will have no effect for the regular interpreted (non-compiled) run of the application, where these controls are ‘on’ by default. But in the compiled application, although it may erroneously report that the controls are ‘on’, they are in fact ‘off’, so turning them ‘on’ fixes the problem. Since I have demonstrated above that the docking functionality actually exists in compiled apps just as in the interpreted m-file apps, I do not understand why MathWorks took such great pains to prevent this important functionality in the compiler. There must be some important reason for this, but I cannot think of any. Perhaps if there is enough public demand, MathWorks will agree to return the docking functionality. Luckily, alternative #2 (which uses the underlying Java frame object) seems to still work, even on R2011a. I still haven’t tested this on R2011b’s compiler (whose pre-release has become available for download yesterday), but hopefully the trick above will continue to work on R2011b and on subsequent releases – please tell me if you find out otherwise. Addendum: Since 2013, possibly as a direct result of this post, MathWorks have prevented this workaround. MathWorks officially states that docking figures is not possible in deployed applications. I do not know the reason for this, and I have still not discovered if another workaround for this annoying limitation is possible. You are as always great, Yair! Question: what about docked figure OnCreate/OnDelete callbacks? @Marco – in R2011b, the relevant field name has changed. I’ve updated the article text accordingly. I’m sorry but I cannot help you – the Matlab software is copyrighted and I will not post it. If you want the NN toolbox, purchase a license from MathWorks. I already have the licensed version of the Matlab and also the ANN tool box too. I just need help in the coding part as M not basically a electronics or CS or Electrical to know all the codes. I’m not able to figure out how to perform the mapping. So i just asked your help so that you will help me in coding the mapping i require for my project. I hope you help me in that part. Dear Manish – I’m always willing to do consulting work for clients. This is my work. If you are interested, please contact me by email so that we can discuss your needs and my fee. I am unabled to get alternative #1 or #2 to work in R2011b. R2011b issues the following error when setting the attempting to set the ClientDockable property. No appropriate method, property, or field fFigureClient for class com.mathworks.hg.peer.HG1FigurePeer. @Paul, Marco – in R2011b, the relevant field name has changed. I’ve updated the article text accordingly. They are actually neither properties nor methods, but rather public fields of the jFrame object that can be seen via the fieldnames function. Using fHG1Client instead of fFigureClient solves the “No appropriate method, property, or field …” error in R2011b. However, the root issue persists. I have not been able to get the dock controls to show up once compiled. I’ve tested both alternatives in R2011a (Mac OS X) and R2011b (Win7 32bits), and neither one worked. Have you had success doing so? If so, which version are know to work? Marco – what about you? Have you been able to get a compiled figure with dock controls in R2011a or b? @Paul – it worked for me on R2011a Win XP. As I said in the post, I haven’t tested R2011b. Thank you Yair. I’ll try R2011a and make sure I am not doing anything silly. Please update your post once you test R2011b and let us know if you get it to work. I discovered that I can get R2011b by adding a small pause between getting the jFrame and setting the setClientDockable. I am not sure why the pause is needed. I suspected a dispatching timing issue, but using javaMethodEDT for the setClientDockable did not help. Perhaps the jFrame variable is not ready when the method is called. Thank you Paul for your tip! OK – so now I have this awesome ability to dock re-enabled… (THANK YOU! Man, I hated loosing that feature). Do you know any way to address the “Figures” frame so I can change the name on it? @Jeremy – of course: take a look at my setFigDocGroup utility. First of all, your website is great. Are there commands to control the size of a docked figure? For example, if I have two figures in a container, are there any commands to make one figure span 1/4 of the width of the container and another to span the final 3/4? @Matt – I’m sure that there are ways to do this, but I’ve never investigated this. Great site. Thanks. Looks like no alternatives work as of 2012a. I’ve tried 2012a and 2014b. Any other workarounds or things that I could research? why matworks donot need matlab gui is beter?? Thanks for such a nice document. but unfortunately, none of these work for me in 2013b. I badly need docked feature in compiled application. Is there a way I can achieve it? Lots of useful information here, thanks! I also want to enable docking feature for deployed application. I used R2015/2016/2017. I tried native Matlab, jFrames, pause(), HG2 compiler flags – nothing seemed to work: once complied, I am getting default figures. 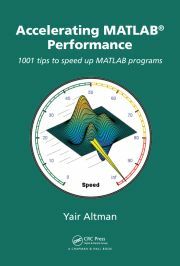 Do you know of any successful solution for recent Matlab versions? Same problem here! Have you already been able to fix the problem by now? I would be glad if you could tell me the solution then. I am also having problems docking figures in a compiled application using the newer releases (R2016a and up). I’ve tried all of the suggestions above, but none of them worked. If somebody has a solution, please post it. Arash Marashian (13 days 11 hours ago): Problem Solved. I found out that my version does not have this icon. thanks. Marshall (14 days 14 hours ago): This was a fun puzzle–don’t hesitate to add more posts like these if you come across some other fun ones! Reza (14 days 21 hours ago): I have the same problem. this Java widget got error in compiling via Matlab 2018! Could you please show me how to solve this? GGa (16 days 14 hours ago): There isn’t anything “outside the UTF-8 range”. UTF-8 can represent any Unicode character, as far as I know.